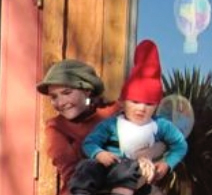 Allison, a long-time resident of the East Mountains, holds a BA and a MA from St. John’s College in Santa Fe, NM. She holds a New Mexico Teaching License and is qualified to teach children from early childhood to third grade. As a licensed Early Childhood Teacher - she has experience working with a variety of educational methods, including Montessori, Reggio Emilia, and Early Childhood. She has worked with children of all ages and developmental abilities and has experience individualizing curriculum that focuses on, and works from, each child’s strengths and interests. Outside of school, she enjoys reading, gardening, and handicrafts. Debbie has lived in the East Mountains since 1982. She has over 30 years of experience with children, schools and volunteer organizations. Her areas of expertise include library sciences and cooking with children. She spent 4 years in Europe viewing and collecting fine art and shares her appreciation of classic masterpieces and techniques with children through books and classroom art projects. Outside of school, she enjoys reading, cooking, gardening, and spending time with her dogs.